After years of subatomic particle busting and number crunching, researchers at CERN now know the mass of the W boson particle1. The findings are part of the ATLAS experiment, which uses CERN’s large underground particle accelerator, known as the Large Hadron Collider (LHC), to smash subatomic particles into each other at extremely high speeds. 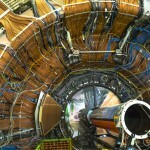 The emissions from these collisions were measured and used to calculate the W boson particle’s mass. The LHC runs in a 27km underground loop through France and Switzerland. The existence of the W boson – not to be confused with the Higgs boson – was theorized in the 1970s and then actually discovered at CERN in 1983. Now its mass has been calculated to an accuracy of 0.02%, something considered extremely difficult to achieve in practice. The particle is responsible for radioactivity and the burning of the sun, something that powers all life on earth. The research results further confirm the Standard Model of Particle Physics. While the Standard Model of Particle Physics has a solid track record on predicting the results of subatomic particle experiments, it excludes gravity, cannot yet be reconciled with the theory of relativity, and does not explain much of what we observe in cosmology. 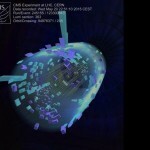 The latest CERN breakthrough required data on large numbers of particles. In the 1980s only around a thousand W bosons had been studied. Now scientists have data on more than a million of them. Knowing the mass of the W boson to this degree of precision takes some theories off the table and moves our understanding of the fundamental laws of nature forward. In the future it might even open some new doors. 1The reported result gives a value of 80370±19 MeV for the W mass.